it’s only day three of my vacation and every single minute was worth the vacay. i am really having fun and have loads of stories to tell. just went to the computer shop to check my mail today. i will definitely be back on January 5 but I’ll try my best to fix my computer so I could get online everyday. This entry was posted in Greetings, Personal and tagged christmas, merry christmas. And because it is time to relax, there will be no Internet use for me. Well, technically I won’t be able to access the Internet from home because my computer is broken and I am so lazy to fix it. I just borrow my boyfriend’s laptop to satisfy my Internet addiction. But because he will be going to the province, I won’t be able to touch the keyboard and view the monitor for a week. Oh well, there are lots of computer cafe’s around. hehe I am stingy when it comes to renting computer. My previous post about buying myPhone B31 have gathered a lots of readers and some have asked questions about my new myPhone. So today, I decided to give a short feedback about myPhone B31. Memory. Can be expandable memory card of up to 2Gb microSD. microSD card is not included when you buy one. Size. The phone is slim, half of a peso coin to be exact, and 4-inches in length. WAP. It is already WAP enabled but I haven’t tried to access the Internet. There is a default setting for the WAP but it can’t connect me to the Internet. So before you buy, check the WAP setting if it is working which is a step that I missed. Messaging. Both SMS and MMS. USB. Yes, it is USB-enabled. Just install the cellphone software first. Battery. It last 4 hours while using the radio, 48hours for standby mode and 3 hours for talk-time. Network. As of now, myPhone is not yet openline. It only works under Globe network. Service and Warranty. 1-year service warranty and 1-week replacement. Technical Support. You can have your myPhone checked to the nearest Globe center nationwide. For me it is a nice buy in very affordable price. If you have questions, don’t hesitate to leave me a comment. *** This is not a paid post. This entry was posted in Personal, Review and tagged myphone, Myphone B31, myphone b31 review, myphone review. It’s been a very long weekend for me. I even cancelled some of my appointments because my schedule is already bloated. I was so tired to go to the office today but I have no choice but to come to work. My Saturday started at six in the morning and ended at three the following day. Then Sunday started at ten and ended at one. I didn’t even got the chance to have a beauty rest :P. I wasn’t even feeling well when I woke up yesterday. Well, I’ll blog later about where I went and what I did during my weekend escapades. Plus, I am still waiting for the pictures that I could scavenge. Out of curiosity, i decided to check how many posts i have written. As of writing, I have done 222 posts under 34 categories with 493 tags. There is about 130 posts under uncategorized which i haven’t sorted out. When I got time, I’ll sort them out. This entry was posted in Blog, Personal and tagged post. I got tired of copy/pasting my folder files every morning. Though it is just Ctrl+C then Ctrl+V then rename the folder, it has been a redundant and boring task. To make things a little faster, I created a batch file for my everyday back-up routine. Well actually, i just combined scripts i got from google. And because my work is starts at 7am, i created a scheduled task every 7:30am everyday to run my batch file. Another step crossed out from my daily work routine. This entry was posted in Script and tagged backup file, batch file, batch file back, folder backup, scheduled task. Today is the start of simbang gabi for Filipinos. 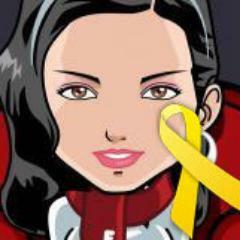 It has been a custom already since the spaniards time in our country. Eversince I learned about simbang gabi, I haven’t finished the tradition even once. Waking up early is a very difficult for me especially now that the atmosphere is cold and I much prefer rolling up in my bed. It is a common belief that once you were able to complete the simbang gabi you are entitled for a wish. This is one reason that many people has been anticipating for this mass. As for others, it’s a time to get together and mingle with their friends though most of times they tend to go overboard and just made the church their official rendezvous. Some take this as an opportunity to court there special ones. Other remarkable in the scene are the food that you could usually buy during the holidays. 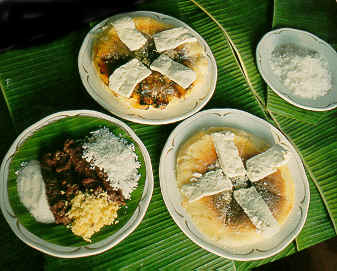 There the puto-bubong and bibingka which are always present. You could them as low as Php10.00 each. In others, you could buy salabat and thick cocoa as your breakfast drink. Yummy! To all who are going to anticipated mass, good luck and take care and I hope you don’t belong to those bystanders outside the church. May your primary purpose is to attend the mass. Yesterday, I requested to be transferred to another workstation. Due to unwanted and unavoidable noise, which couldn’t be helped due a large number of clients in the office, I decided to move myself away. It was an ideal station for me, near the corner and the window where i could take a peek at the outside world. To add delight to my morning, sir gave us a big bag of “maxmallows”. Don’t know why but don’t care, it’s food and nobody should reject food!